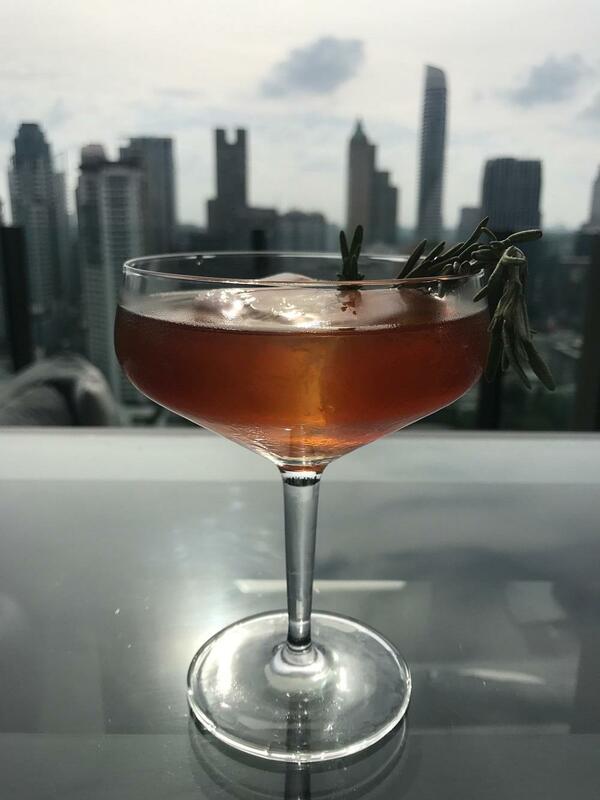 Refreshing cocktails to a beautiful skyline view at Char Rooftop Bar! 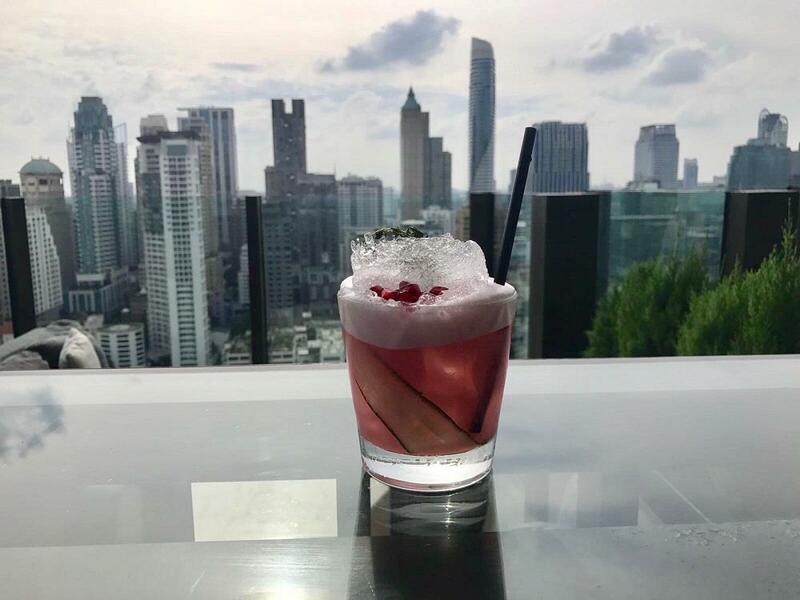 Char Rooftop bar is perched on the 26th floor of the luxurious Hotel Indigo Bangkok and is often considerd as a top choice among the sky bars Bangkok. 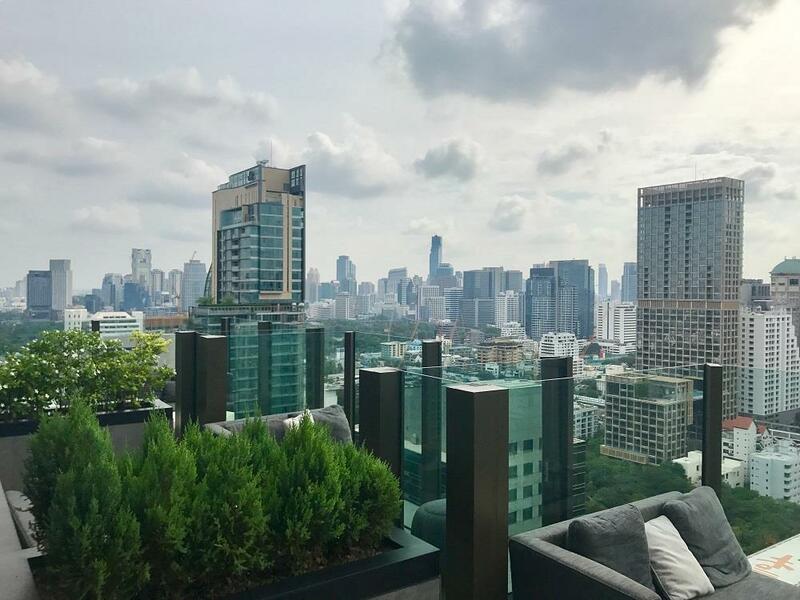 Well up on the terrace you’ll get a fantastic view over the central parts of Bangkok and the Siam district. 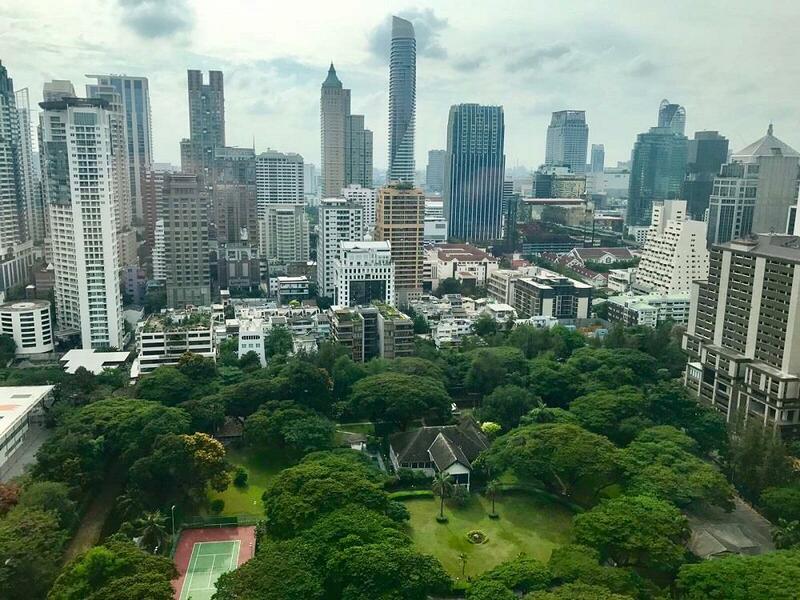 On the opposite side of the roof you’ll find the US Embassy located in a beautiful park, surrounded by skyscrapers. 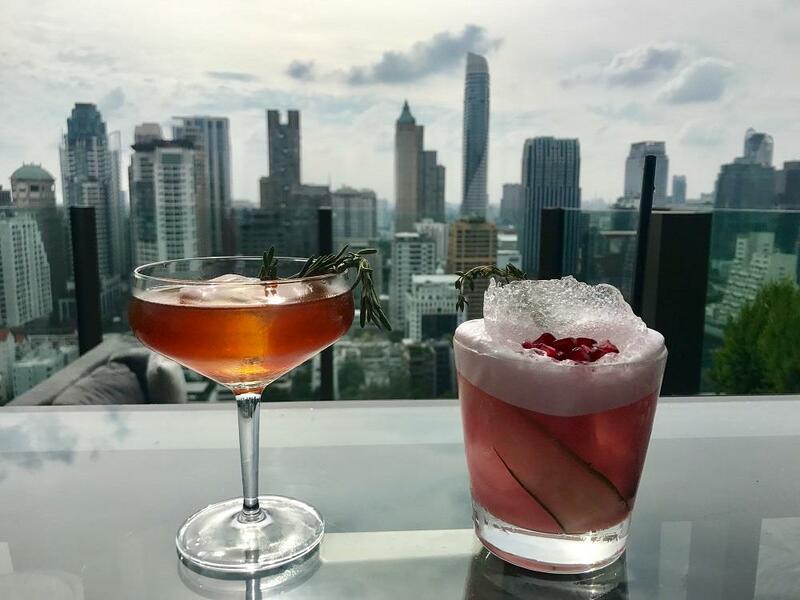 We had the pleasure to visit Char Rooftop Bar one hour before opening as we had a tight schedule that evening. Thiraphong, from the marketing team showed us the terrace and also prepared two signature cocktails for us to try out. The first one called “Lovers confession” (sweet/sour), consisting in Beefeater 24, lime, syrup, cucumber, lemon bitter, thyme, egg white and pomegranate. And the other one called “Pandora’s Box” consisting Chivas extra, angostura, sugar, wooden smoke. Perfect for those how love whiskey. Both cocktails were delicious even though my favorite was the Lovers Confession. 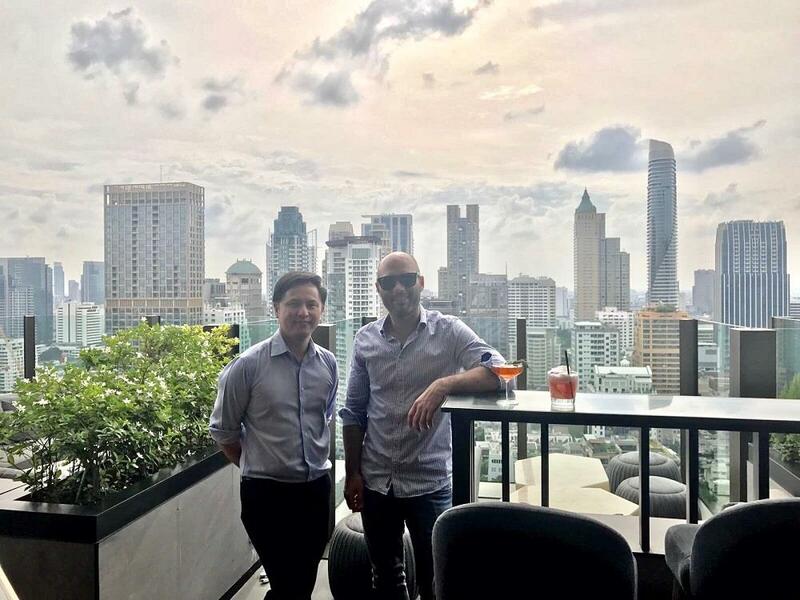 Thiraphong told us a lot about Char Rooftop Bar, the hotel and the superb infinity pool (read more about that here) a couple of floors downs. Thiraphong and the rest of the crew were super service minded and made you feel very welcomed and well taken care of. 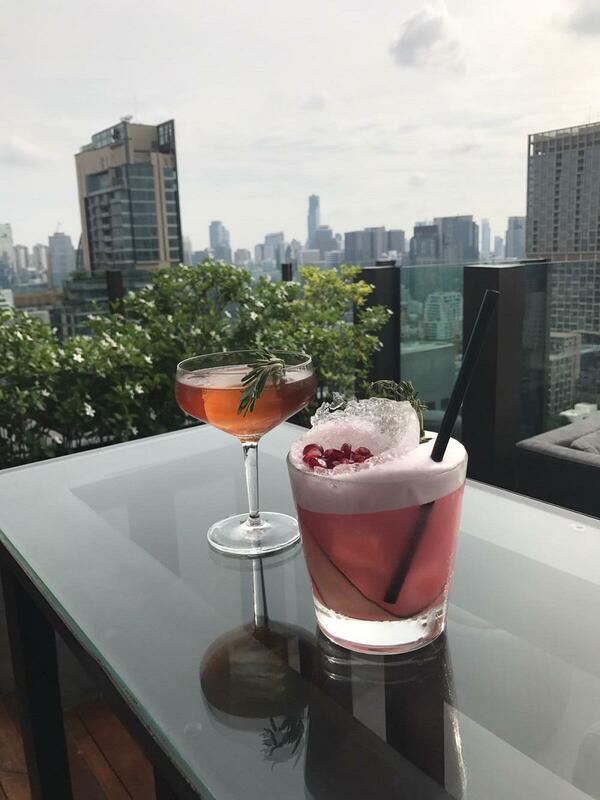 Char rooftop bar is a perfect rooftop in Bangkok to visit around after work time at 5:00 PM and forward. 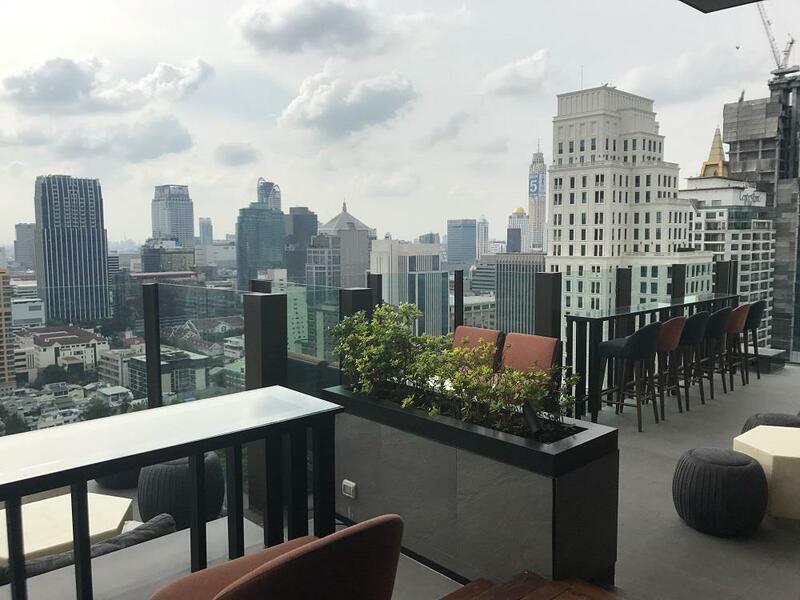 You’ll also get one of the most spectacular sunsets from here, when the sun is setting between the mighty skyscrapers in front of the terrace. 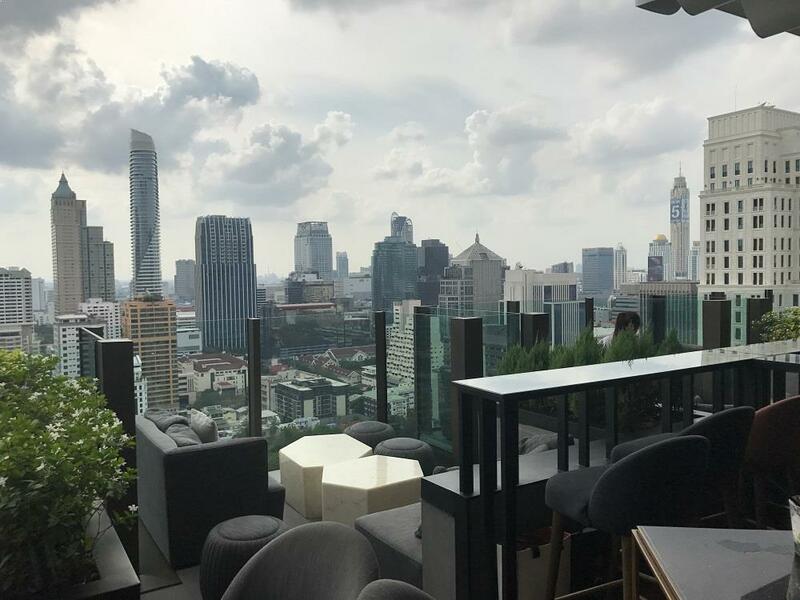 Here's some more info about Char Rooftop Bar.